nspired by men’s tweeds, Be Different is a range full of personality, its unique woven structure playing with the ambiant light, creating original and distinctively different atmospheres. 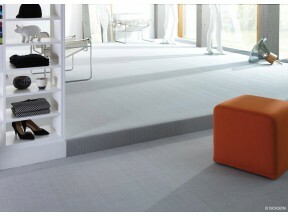 Thanks to its two-toned yarns, the Be Smart range offers exciting new rhythms to contemporary interiors. 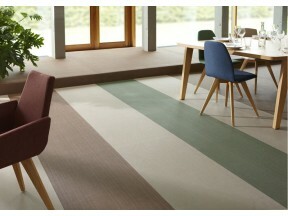 Naturally stylish, the Be Natural range is inspired by organic matter such as the sisal plant or bulrush. Bohemian, pop or chic, Dickson rugs now feature colorful edging and unique new shapes, banishing forever any idea of a difference between indoor and outdoor use.